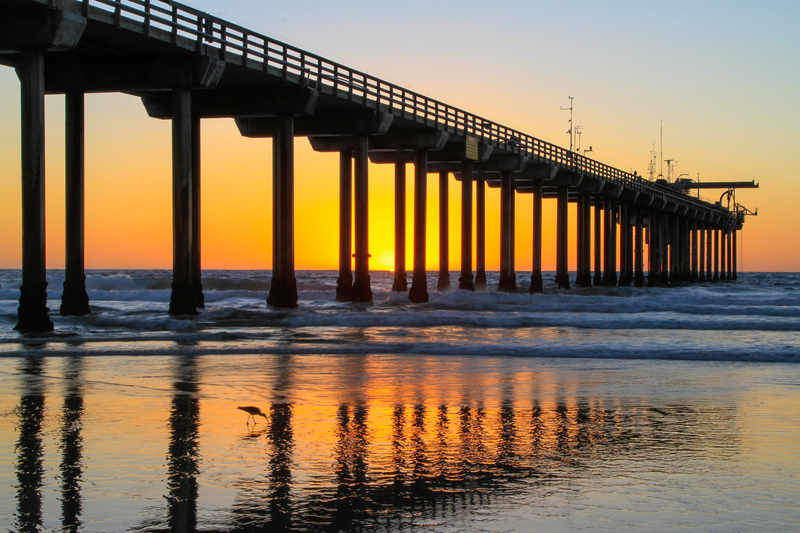 The Scripps Pier at sunset. This research pier is located between La Jolla Shores and Black’s Beach in La Jolla. Kongo snapped this image shortly before he moved beneath the pier to get the shot in the previous post. He liked the reflection on the sand and the sandpiper who stood still long enough not to be blurry in this 3-second exposure. Great capture Kongo. Before I read your description, I thought to myself, this photo works because of the reflection and the silhouetted sandpiper. Great job translating your vision to your viewer. I know this is something that is not easy to do.